The following is a guest post by Rick Rodgers, CFP®, the author of Don’t Retire Broke: An Indispensable Guide to Tax-Efficient Retirement Planning and Financial Freedom. If you’d like to provide a guest post to Money Q&A, check out our guest posting guidelines. Most investment experts will tell you that diversification is one of the most important techniques to utilize in an investment strategy. The process of allocating your funds among different types of investments does not guarantee against loss. However, it can minimize losses by holding investments that may react differently to an event. This advice has been around as long as the Bible. “But divide your investments among many places, for you do not know what risks might lie ahead.” (Ecclesiastes 11:2 NLT). You may also know the technique as “Don’t put all your eggs into one basket”. Diversification should not be limited just to investment strategy to protect against risk. It should also be used as part of your wealth building strategy to protect against taxation and help to lower your taxes. A tax efficient saving strategy diversifies where you save and invest to minimize the impact of income taxes when you need income. 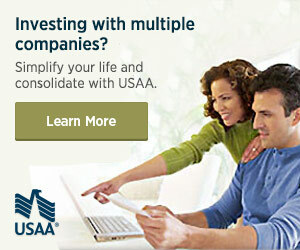 Tax-deferred accounts – These accounts allow investors to save money in the present, dealing with taxes in the future. Examples are individual retirement accounts (IRA), annuities, and employer sponsored retirement accounts like 401(k)s, 403(b)s, and 457 plans. After-tax accounts – Your bank and brokerage accounts, investment real estate— basically, anything that’s not a tax-deferred or tax-free account falls into this category. There are no tax breaks on contributions and realized earnings are taxed each year as you go. However, certain kinds of investment income like long-term capital gains and qualified dividends are taxed at lower tax rates than tax-deferred distributions. Tax-free accounts – The main components of these accounts are Roth IRAs, Roth 401(k)s and the new myRA. Tax-free accounts are a very important tax planning tool. The key to the process of diversifying savings begins by understanding your R/D Factor™. Think of the R/D (or retirement distribution) Factor as the amount of non-taxable income you will be able to draw from your investment accounts. There are many people who have accumulated no savings other than through a 401(k) at work. Their R/D Factor will be 100 when they need income because 100% will be taxable. You’ve probably heard the saying “It’s not what you earn, it’s what you keep”. An investor who has accumulated $2 million in a 401(k) doesn’t really have $2 million when they want to try to spend it. 25% or more will disappear in taxes. From a practical standpoint, you should aim for an R/D Factor of 50. This would provide a balance between tax planning today and tax savings in the future. There are immediate tax benefits to using tax-deferred accounts you may not want to ignore. Tax planning should take into consideration the level of pre-tax savings that will keep someone in a lower tax bracket each year. Roth IRAs have relatively low contribution limits plus income limits to be eligible to make a contribution. Not all employers offer Roth 401(k)s. It would be difficult to put 100% of savings into a Roth without ignoring some significant tax issues. It really comes down to diversification, i.e. balancing out the advantages of immediate tax benefits in exchange for future control over taxation. Having some savings in all three areas allows the taxpayer to choose how much tax, if any, they want to pay. They make this choice by determining the amount of their income taken from each account. For example, an investor wants $90,000 of income and decides to take $30,000 from each of his three types of accounts. The $30,000 from the tax-deferred account is all taxable. None of the $30,000 from the tax-free account is taxable. The after-tax account will generate some tax liability based on their original cost in the investment. For this example, $10,000 is taxable as a long-term capital gain and $20,000 is a non-taxable return-of-principal. Exactly how much tax is due on the $90,000 will depend on filing status and deductions. Let’s assume the taxpayer is filing single with no itemized deductions. The tax return will show $40,000 as gross taxable income. In 2017, single taxpayers under age 65 have a $4,050 personal exemption and a $6,350 standard deduction. Taxable income is $29,600 which is the 15% tax bracket for a single filer. The total federal tax liability is less than $2,500 because long-term gains are taxed at zero. $2,500 tax on $90,000 of income is minimal. The future of income tax rates is uncertain. The Trump Administration has made tax reform a priority. Whether the administration can deliver remains to be seen. The best way to prepare for this uncertainty is to diversify your savings to enable you to withdraw your savings in the most tax efficient way. Having money in all three types of accounts provides the opportunity to determine how much tax you ultimately pay. Don’t allow yourself to be at the mercy of the tax code in the future. Rick Rodgers, CFP® is the author of Don’t Retire Broke: An Indispensable Guide to Tax-Efficient Retirement Planning and Financial Freedom. Rick Rodgers, CFP®, CRPC®, CRC® is co-founder and president of Rodgers & Associates.